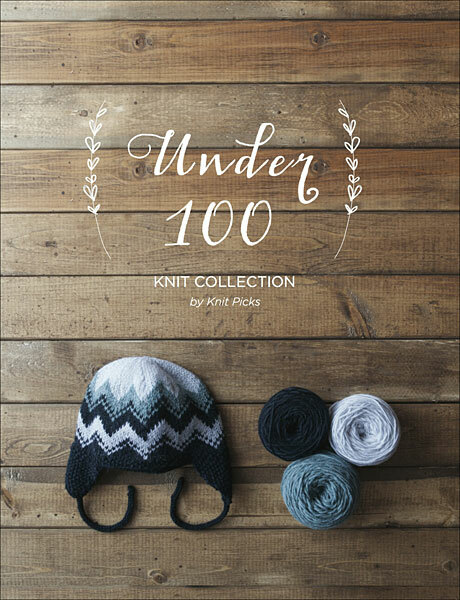 I’m so glad that the Under 100 Knit Collection is finally out! Now that it’s done (and I don’t have to keep track of tiny tags and missing pairs of things) I can take a breath and really appreciate a few of the projects in this collection! I’m an absolute sucker for a cute pair of handmade socks! Even more when there are stripes involved… did I mention that these stripes are bluey-green?! It doesn’t get much better. Kenny Chua’s Helical Socks feature contrasting toe, heel and cuffs, each area highlights a different color used in the main body of the sock. Turquoise heels are super cute! BOTH colorways of Amanda Schwabe’s Scrunchy Ombre Arm Warmers are stunning. I love the option to transition between a few colors or stick to two-color stripes. They’re knit in Palette too so that opens up a huge realm of colors to choose from. That being said, I think the orange cuffs on the black and white stripped pair are the perfect touch and I’ve got to make myself a pair. Jenny K. did a super cute blog post on how to style these mittens this week on our Blog. Go ahead, check it out and see if you can manage to resist the practicality and versatility of this pattern. There are 28 additional patterns to check out in the Under 100 Pattern Collection and all of them are great stash busting opportunities!